Even little boys need great basics at a great low price! Pack contains 4 white vest tops. Ribbed neckline and around arms. 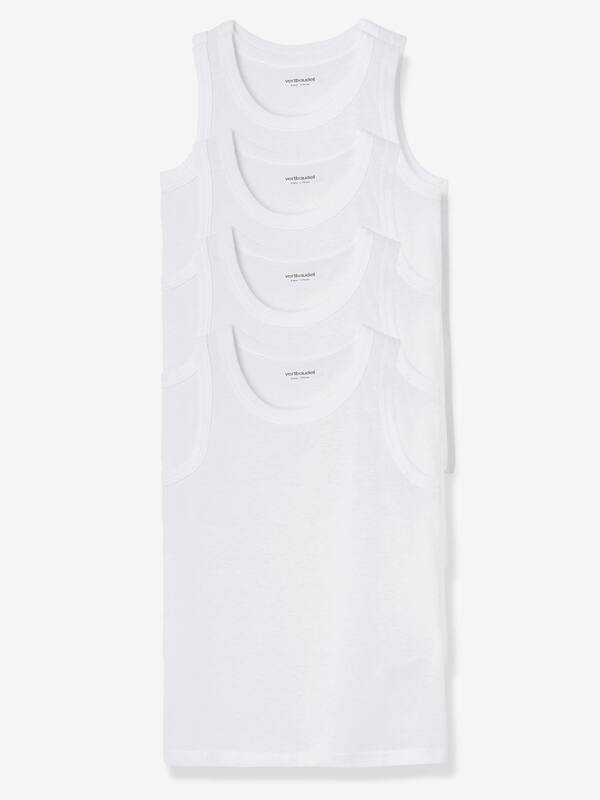 Vest tops in 100% cotton jersey knit.